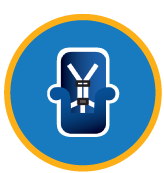 Car seats and booster seats provide the protection children need to stay safe in the car. Yet many parents/caregivers are not always using the right seat. Did you know car crashes are the leading cause of death for children ages birth to 13? That is why it is so important to choose the right seat and know the law for your child’s safety. 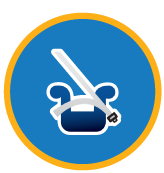 Keep your child safe in their car seat, every age and every stage. There are over 400-trained Child Passenger Safety Technicians across the state of Nebraska. In 2017, 39% of children (ages 0-15) involved in all Motor Vehicle Crashes were not using a safety restraint. Check for an event near you. Car Seat Safety Tips, good information so you can make the best choice to keep your child safe in the car. Resources for Parents and Caregivers to keep your loved ones safe on the road and around cars. 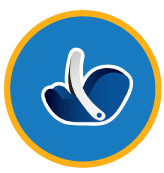 Get Seat-iated Toolkit – share with your community partners.